Mayes Landing is accessible by bike or foot from the Burlington Bike Path. 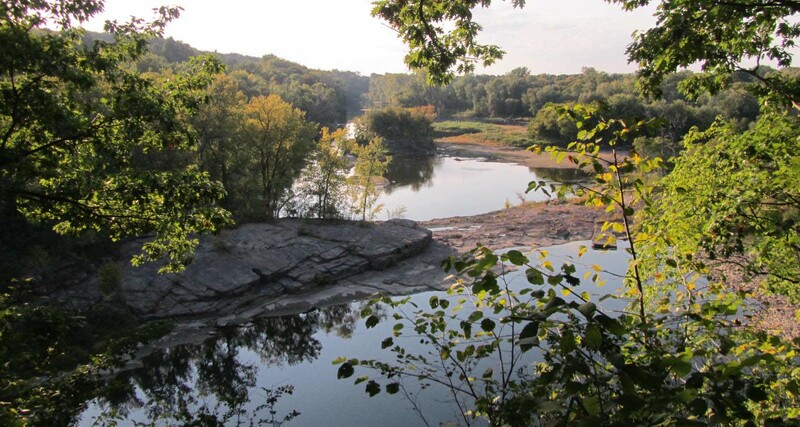 Opened to the public on July 16th 2001, Mayes Landing is bordered by the Winooski River and the northern terminus of the Burlington Bike Path. Picnic tables on a grassy spot are surrounded by wildflowers and tall shade trees. 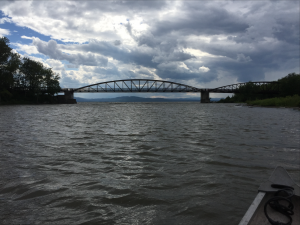 The mouth of The Winooski River emptying into Lake Champlain. The bridge connects Mayes Landing (on the left) to Delta Park (on the right). Mayes Landing is adjacent to one of Vermont’s most productive wetlands, so bring binoculars and enjoy the wildlife. You may see great blue herons, kingfisher, beaver and river otter. It is also an opportunity to see swamp white oaks. From Mayes Landing you can bike or walk to Delta Park by way of the bike bridge over the Winooski River.